The DMC partnered with Montevallo Elementary School to host a Spanish-only forum focused on the theme of “Cradle to Career” community and educational development. Since 2016, the City of Montevallo, the Kettering Foundation, and the DMC have partnered for a Community Politics Working Group learning exchange. Through the exchange community stakeholders and citizens gathered together for a series of naming and framing conversations, during which they identified the local educational opportunities as a key concern for the city. Through the discussions, parents, educators, and local leaders identified many avenues the community can focus on as it works to improve education for young people from “cradle to career.” As a result of the naming and framing discussions, the “Cradle to Career: Addressing Education as a Family, School, and Community” issue guide was born. The issue guide has been used to moderate four community wide forums which provide a space for residents to deliberate on pathways for addressing gaps in community resources, economic infrastructure, and education which affect young people’s career opportunities. Perhaps most notable, was the forum conducted in partnership with Shelby County Public Schools and the City of Montevallo on the evening of January 31, 2018, at the Montevallo Elementary School. The forum, moderated and conducted entirely in Spanish, was the first of its kind for the David Mathews Center, as well as the city as a whole, where 8.5% of the total population’s native language is Spanish, and 22.6% of elementary school students identify as Hispanic. 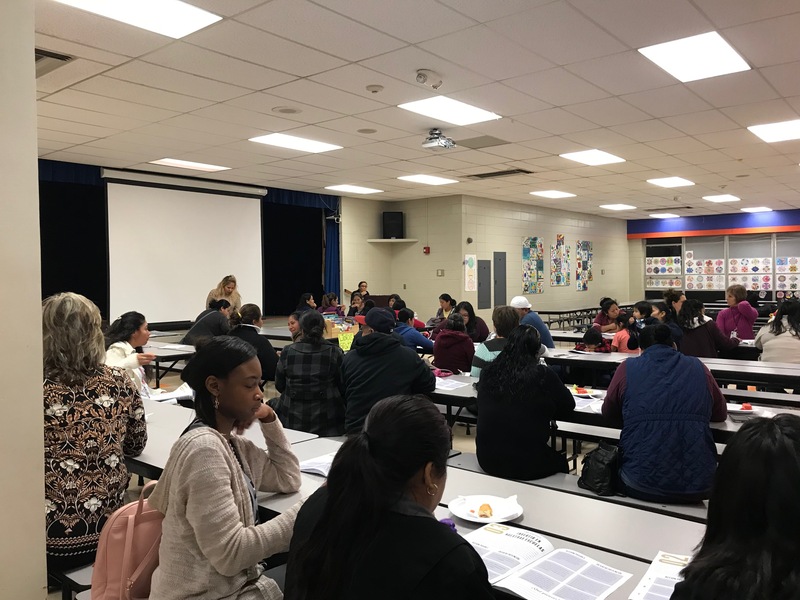 The forum was attended by 40 parents and over 40 students, as well as nearly a dozen representatives of the Shelby County School system and the City of Montevallo. Dr. Hollie Cost, mayor of Montevallo, opened the event by extending a welcome to those in attendance and explaining the purpose of the forum series, with the assistance of Shelby County High School interpreter Claudia Banuelos. The issue guide was translated by Dolly Chavez, of Shelby County Public Schools, who also moderated the January 31st forum. A few of the themes that emerged during the forums included a desire to grow the local economy in order to expand job opportunities for young people, as well as a desire to provide opportunities for young people to learn entrepreneurial and practical skills themselves. Many parents also expressed that there is a lack of resources for those who have children who would like to pursue a university education – in particular resources (such as FAFSA information) that are available in Spanish. The emerging themes that were brought forth by parents and community members who attended the Spanish language forum will be published in their entirety (along with the themes identified in all forums) in the forthcoming “Cradle to Career” report to the community. The DMC would like to express the highest gratitude to our partners and those who helped make this forum possible, as well as the parents who took the time out of their evening to attend and contribute to this community conversation.